It was a record-breaking start for FX’s Thursday night comedy line-up and the cable channel is more than happy to tell you about it. If you’d like to keep up with how the four shows perform in the coming weeks, check out our individual ratings pages for Anger Management (season one), Louie (season three), Wilfred (season two), and BrandX with Russell Brand (season one). LOS ANGELES, June 29, 2012 – FX’s biggest night of comedy ever also proved to be one of cable’s biggest nights of comedy ever as Anger Management set ratings records for a primetime scripted comedy series premiere, Wilfred and Louie returned to the network with significant growth over their prior seasons, and FX’s entry into the late night arena, BrandX with Russell Brand, got off to a strong start. Last night marked the most-watched Thursday night (prime, 8-11 PM) in FX’s 18-year history in both Total Viewers (3.05 million) and Adults 18-49 (1.54 million). Last night’s series debut of Anger Management (9:00 PM) was the most-watched primetime scripted comedy series premiere in cable history in delivery of Adults 18-49 (2.65 million), and Total Viewers (5.47 million, excluding children’s programming). It also ranks as the most-watched series premiere in FX history in Total Viewers. Episode 2 of Anger Management (9:30 PM) grew to 5.74 million Total Viewers, and the demo also grew in the second half hour to 2.89 million A18-49. Combined with the encore telecasts (1:00 and 1:30 AM), the series premiere episode of Anger Management delivered a total audience of 6.21 million viewers and 3.11 million Adults 18-49, and the second episode drew 6.45 million viewers and 3.29 million Adults 18-49. Episode 2 of Anger Management at (9:30 PM) ranked as the top-rated program on television (broadcast or cable) on Thursday in delivery of Adults 18-49 and Men 18-49, and in cable in delivery of Total Viewers, Adults 18-49, Adults 18-34 (1.24 million) and Adults 25-54 (3.22 million). The series premiere (9:00 PM) ranked #2 on television (broadcast or cable) on Thursday in delivery of Adults 18-49 and Men 18-49, and #2 among all cable programs last night in Total Viewers, Adults 18-49, Adults 18-34, and Adults 25-54. Anger Management moves to its regularly scheduled time period of Thursdays at 9:30 PM ET/PT beginning next week (July 5). FX will repeat its pilot and second episode next Thursday, July 5 at 8:30PM and 9:00PM, respectively. The Season 2 premiere of Wilfred and Season 3 premiere of Louie posted significant growth over their prior season averages. The season premieres for each series were the second highest-rated episodes in their history and will likely be their highest-rated episodes ever when Live+7 data is available in three weeks. Last night’s Season 2 premiere of Wilfred delivered 2.53 million Total Viewers and 1.5 million Adults 18-49, which were respective increases of +71% in Total Viewers and +54% in Adults 18-49 (Wilfred Season 1 averages were 1.48 million Total Viewers and 973,000 Adults 18-49). Wilfred ranked #4 on Thursday night in cable on Men 18-34 (538,000) and #6 in Adults 18-34 (808,000). Last night’s episode recorded series’ highs in Adults/Men/Women 25-54, Men 18-49, and Men 18-34. Combined with its encore telecast (midnight), the season 2 premiere episode of Wilfred delivered a total audience of 3.0 million viewers and 1.78 million Adults 18-49. Last night’s Season 3 premiere of Louie delivered 1.43 million Total Viewers and 911,000 Adults 18-49, which were respective increases of +55% in Total Viewers and +41% in Adults 18-49 (Louie Season 2 averages were 923,000 Total Viewers and 647,000 Adults 18-49). The Season 3 premiere was series’ most-watched episode in delivery of Adults 25-54. Combined with its encore telecast (11:30 PM), the season 3 premiere episode of Louie delivered a total audience of 2.01 million viewers and 1.22 million Adults 18-49. The series premiere of FX’s new late night comedy BrandX with Russell Brand got off to a good start in the 11:00 PM time slot with 1.07 million Total Viewers and 687,000 Adults 18-49, which marked respective increases of +32% and +38% vs. FX time-period average. The series debut of BrandX with Russell Brand performed well last night against other late night cable competition including Conan (TBS 11-midnight), 934,000 Total Viewers and 602,000 Adults 18-49; Chelsea Lately (E! – 11-11:30 PM) 666,000 Total Viewers and 502,000 Adults 18-49; and Watch What Happens: Live (Bravo 11-11:30 PM) 539,000 Total Viewers and 328,000 Adults 18-49. Anger Management – Episode 3 – “Charlie Tries Sleep Deprivation” (Airs Thursday, July 5 at 9:30PM E/P): Charlie challenges his group to do thirty-six hours of sleep deprivation therapy so that their “inhibitions come down and the truth comes out” – except the result turns out to be the exact opposite. Wilfred– Episode 2 – “Dignity” (Airs Thursday, July 5 at 10:00PM E/P): Wilfred’s popularity creates problems for Ryan. Louie – Episode 2 – “Telling Jokes / Set-Up” (Airs Thursday, July 5 at 10:30PM E/P): Louie has dinner at a friend’s house. 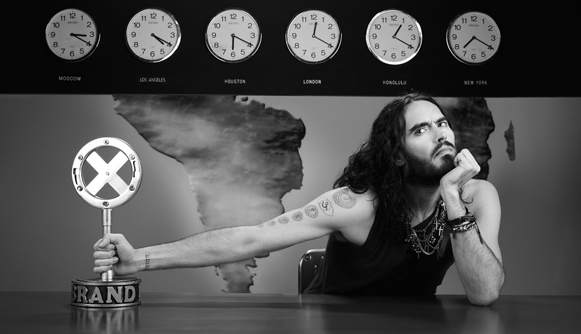 BrandX with Russell Brand – 2nd Installment (Airs Thursday, July 5 at 11:00PM E/P): BrandX with Russell Brand features Brand’s unvarnished and unfiltered point of view on current events, worldwide politics and popular culture. 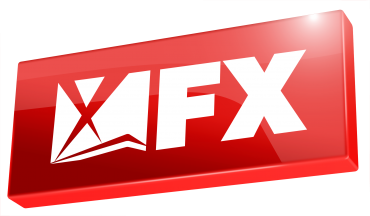 FX is the flagship general entertainment basic cable network from Fox. Launched in June of 1994, FX is carried in more than 98 million homes. The diverse schedule includes a growing roster of critically acclaimed and award-winning hit dramas series including Sons Of Anarchy, Justified and American Horror Story, and acclaimed hit comedy series It’s Always Sunny In Philadelphia, The League, Louie, Archer, Wilfred, BrandX with Russell Brand, Totally Biased with W. Kamau Bell and Legit. Its library of acquired box-office hit movies is unmatched by any ad-supported television network. The network’s other offerings include the acquired hit series Two and a Half Men and How I Met Your Mother, and live sports with UFC and NCAA football. What do you think? Do you like the FX comedies? Do you have a favorite? Do you dislike one or more of them? I don’t know if it’s just me, but Brand X was very awkward to watch.